In short, the answer to each is yes. 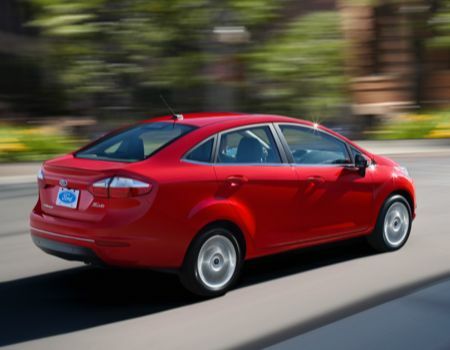 I found both the subcompact Fiesta sedan and midsize Fusion plug-in hybrid sedan to leave me with very similar impressions as I first wrote about last summer following my trip to Ford’s headquarters in Dearborn, Michigan. But not all my findings were biscuits and gravy during the weeklong test drives. 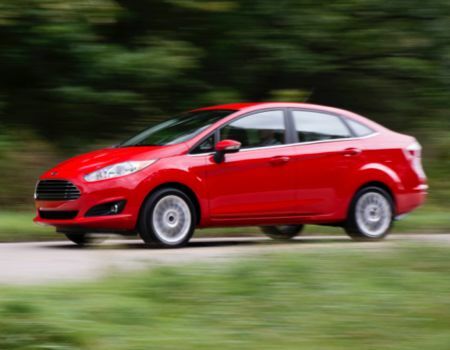 While the new Fiesta is Ford’s entry-level model it is surprisingly big on space and comfort. Four adults can ride fairly comfortably while offering ample cargo space either behind the second row seat in the hatchback models or in the trunk as our recent sedan proved. And whether tooling around town or out on the open road, the Ford Fiesta’s powertrain (consisting of 120hp 1.6-liter I-4 and PowerShift six-speed automatic gearbox) had no problem keeping up with the flow of traffic and the combined fuel economy of 32 mpg-plus proved very easy on the budget. Base pricing for Fiesta models is just over 14 grand but our test model arrived in loaded Titanium trim with a few extra goodies that brought the final sticker to $21,280, a lot of money for an “entry” vehicle. I have had mixed feelings about the Ford SYNC/MyFord Touch infotainment systems since they were each introduced in the last decade. While I find the navigation systems very helpful and the hands-free communications technology very, well, handy, I feel the integration in the Fiesta is sub par, as the screen is very small and the features very difficult to reach from the driver’s seat. Yes, voice recognition can grant you access to nearly every aspect of these technologies but that is a multi-step chore in itself and, as I and others have experienced, can be somewhat frustrating. I know few customers in this segment are even equipping their vehicles with this technology as they seek value pricing so this may be a moot point but is worth bearing as Ford chose to outfit its press fleet vehicle in this manner. Over the past year and a half I have had the pleasure of driving the new Ford Fusion in nearly every iteration offered: Sport, Hybrid and Energi PHEV (plug-in hybrid electric vehicle). I have found each experience to be rewarding with each showing benefits for slightly different customers. For most I would recommend the Fusion Hybrid as it offers the best of both worlds being that of a very comfortable, fun-to-drive midsize sedan offering great fuel economy. 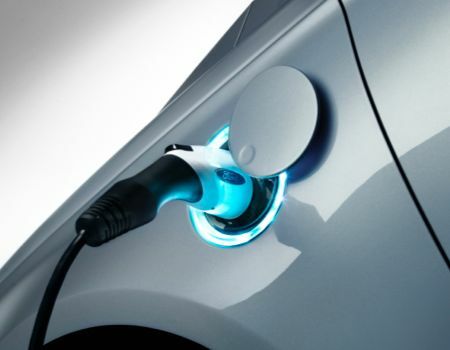 It is also the choice for the “green” driver who does not have plug-in capability at work or home. The 2014 Fusion Energi is the greenest of Fusion sedan models but it is also the most expensive. Pricing of nearly 40 grand fetches a vehicle that can operate about 21 miles in EV mode per charge. For many consumers this means having to plug your car in at home and again at work to achieve maximum value from your purchase. That said, the Energi model still delivers a combined EPA rating of 43 mpg in hybrid/gasoline mode. 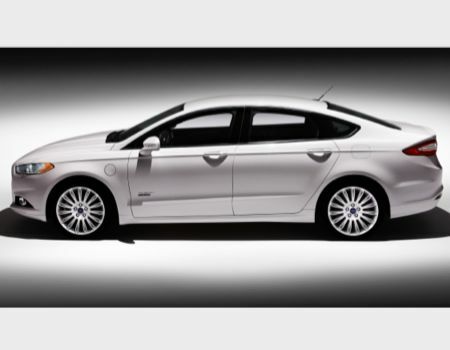 The EPA estimates fuel savings over five years of $6,750 for the Fusion Energi. Pricing for our recent tester started at $38,700 with a little over five grand in add-ons for a final sticker of $44,620 so those who can plug their Energi in all the time will benefit greatly. 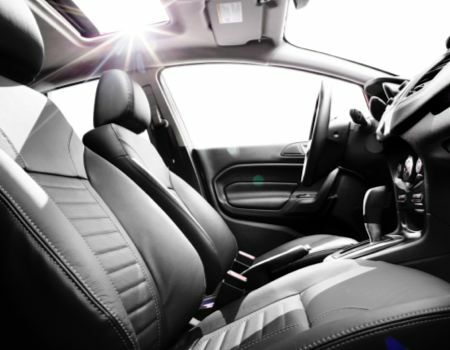 The interior of the Fusion Energi is every bit as comfortable and roomy as its gasoline counterparts but the plug-in powertrain requires a larger battery pack and Ford takes about half the trunk space for this. I was never able to plug the test vehicle in during my week with the vehicle so I basically had a Fusion Hybrid with half the trunk space meaning I had to take twice the trips to the mega-mart, but hey, I really like driving the new Ford Fusion so no complaints from this guy.